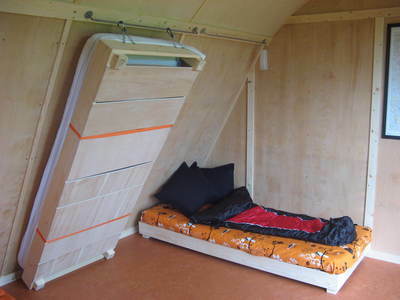 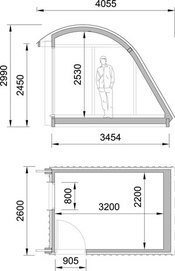 The shape allows for beds to be hooked up out of the way against the slope; a large window, and an extensive veranda. 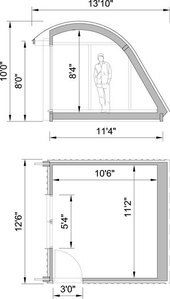 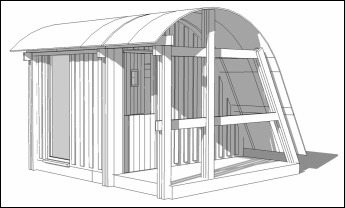 MorphPOD comes in two standard sizes - 2.2 & 3.4 - details and prices below. We think these sizes suit most of the uses they might be put to. 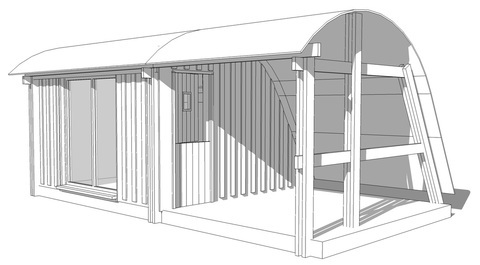 We provide a fully insulated inhabitable ‘box’ with a menu of options, so you can have whatever you need (see below). 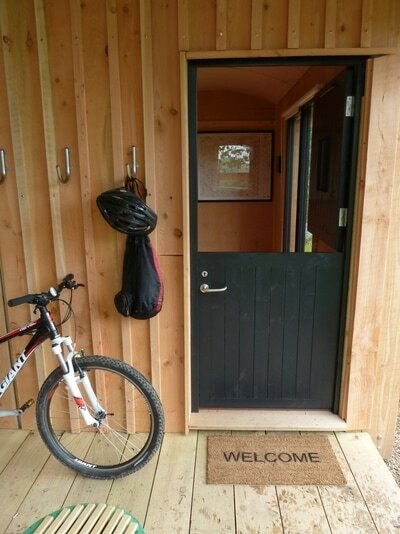 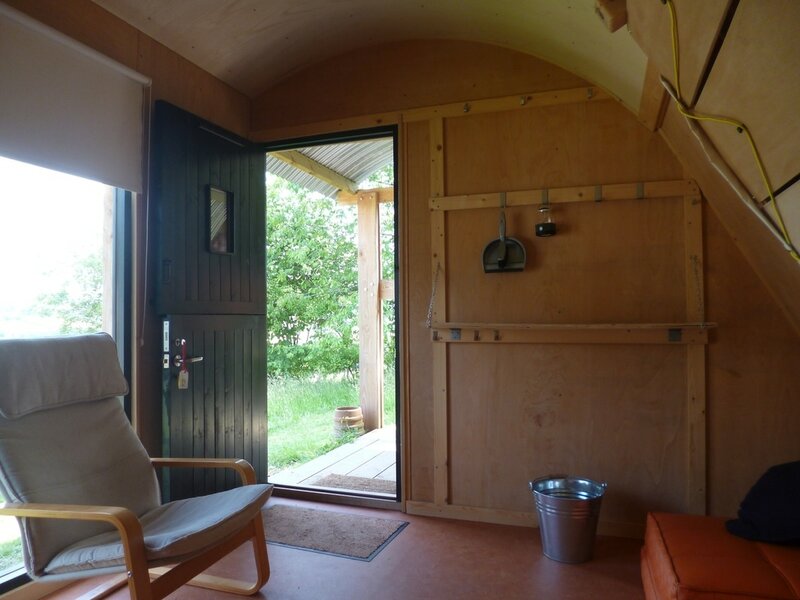 If you want something bigger,﻿﻿ have a ﻿﻿look at ﻿﻿our ﻿﻿Morphut cabins. 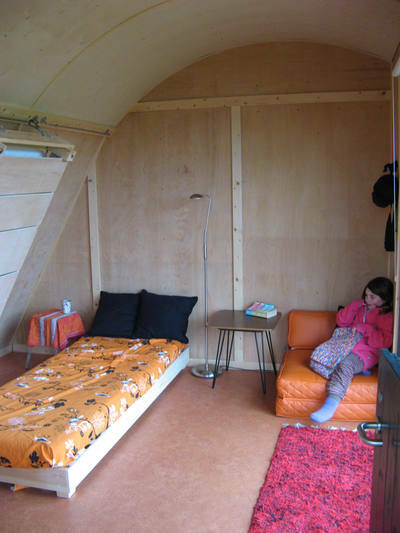 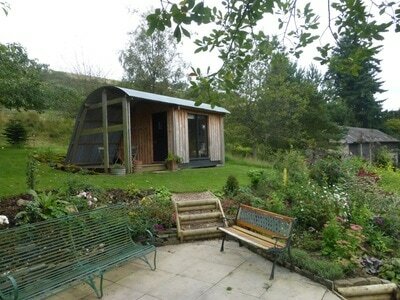 The two standard MorphPODs can accommodate lots of uses, but we can do purpose-made versions if needs be. The best way to build small and economically is to have a standard 'frame' with optional extras that make it what you want.